It’s always hard to say goodbye to a band that you love, especially when their music has had a major impact on your life. You know the kind we are talking about: the ones whose music you play on repeat that you listen to regardless of language barriers. Galileo Galilei is one such band, and soon it’ll be time to bid farewell to the three-piece rock group, who announced earlier this year that they would be breaking up at the end of their spring tour in Japan. Posting on their website prior to the release of their latest album Sea and the Darkness, the band wrote: “Looking back, the band Galileo Galilei is maybe like the toy carts you rode when you were a kid. But those toy carts could never go beyond the walls of the lawn. We want to follow the rugged concrete road beyond the wall. As we’ve grown, we’ve decided to leave behind the toy cart.” So, in honour of that toy cart, J-Pop Go is here to celebrate the best of Galileo Galilei. 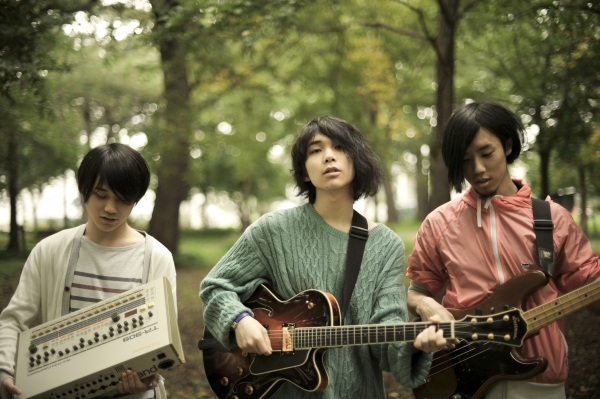 Composed of singer/guitarist Yūki Ozaki, bass guitarist Hitoshi Sakō, and drummer Kazuki Ozaki, Galileo Galilei broke onto the scene in 2007 with their catchy indie-rock tunes, and have made quite a name for themselves over the past nine years. After releasing their first album 1tas2 and two EPs, the band quickly gained the interest of fans and industry professionals alike — signing onto SME Records in 2010 and releasing their second album, Parade, soon after. The album was well received, but it was their third outing, Portal, that really put them on the map after their song ‘Aoi Shiori’ was used as the opening for the Anohana anime series. Since then, the band released two more albums (Alarms and Sea and the Darkness) and two EPs (Baby, It’s Cold Outside and See More Glass), and their songs have contributed to the soundtracks of Mobile Suit Gundam and Taifu no Noruda, to name just a few. Most recently, one of the band’s songs can be heard during the ending of Haikyuu!’s second season, while Yūki Ozaki collaborated on the song ‘Trigger’ for Shinichiro Watanabe’s dark-anime Terror in Resonance. While the band have not given a clear reason for the split, it does seem that they want to end on a high, and begin a new chapter in their lives. They’re still only in their 20s, so they have more than enough time to bring us new and exciting projects. If their final remarks in their message to fans is anything to go by, we definitely haven’t seen the last of them: “Nothing’s been decided after this, but I believe it’ll be good news. We look forward to seeing you at the concerts.” Let’s wait and see what they bring us! So, without further ado, here is the best of Galileo Galilei according to us! Why: The band’s first big hit, its catchy tune compliments the coming-of-age theme featured in the Anohana anime series and is a great introduction to the band. Why: Mixed with catchy rock tunes and slow-burning ballads, Portal presents the best of both styles. It’s a solid album through and through, and presents some of Galileo Galilei’s best work. Why: While this EP may not be a full-length album it doesn’t mean that the songs aren’t great to listen to. Capturing the charm of their previous work, they’re light-hearted and fun — what’s not to love?